The Government today appointed a new maths "Tsar" tasked with turning around years of decline in the subject. 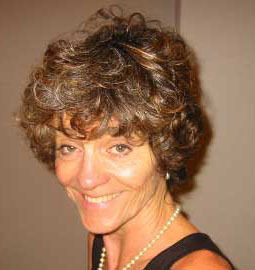 Celia Hoyles, who starts her job as chief mathematics adviser next month, will "champion" the subject at all levels, from primary schools to university and beyond. Education Secretary Charles Clarke said the appointment of Prof Hoyles was "critical" to revitalising maths education. England is short of about 3,500 maths teachers, equivalent to more than one for every comprehensive in the country, a major inquiry found earlier this year. Students, teachers and employers were all being let down by the current system, according to Professor Adrian Smith’s Government-backed inquiry into post-14 maths. Mr Clarke said he was "delighted" with the appointment of Prof Hoyles, who is currently working at the University of London's Institute of Education. "I believe this appointment is critical to the success of the mathematics strategy we outlined earlier this year," he said. "The road ahead will be filled with opportunities to revitalise the study of mathematics and raise the profile of mathematics for everyone, not just pupils in schools and their teachers." Prof Hoyles said: "I am thrilled to accept the role of chief adviser for mathematics, and look forward to the challenges ahead." You get the strong feeling, don't you, what with all the "sneer quotes", that the writer of this report detected an air of false optimism about the show that was laid on in front of him. "Delighted". "Filled with opportunities". "Thrilled". Above all there is that gruesome word "challenge", which means insoluble difficulties of all kinds. The original idea of a Tsar was that there was only one of him, and his word was law. But what happens when two Tsars bump into each other in a government corridor, both chasing the same money, or demanding the same slice of the school day or of the National Curriculum? Who wins? And what happens when the Tsar comes up against, you know, the Minister of Education?